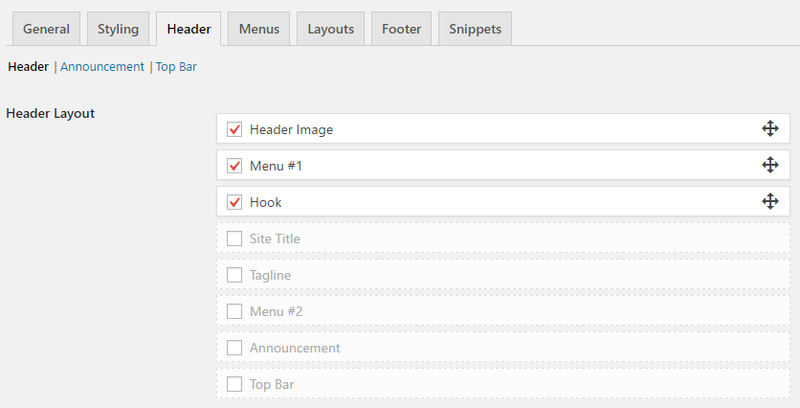 When you're done, assign the menu to either the Menu #1 theme location, or the Menu #2 location. This can be found at the bottom under Menu Settings. You can specify the location of your navigation bar in Appearance > Theme Settings. Click on the "Header" tab. You'll see a "Header Layout" section at the very top. Here you can enable and disable each navigation bar, and change the order they appear in. You can make the menus appear above or below the header image.